Like pineapple on pizza, spring in Lapland blends two unexpected elements together in an enticing way. With the heavy snow cover of winter and the long sunny days of summer, spring here is a great time to have fun and play in the snow. Here’s eight ways to spend the snowy days of spring! 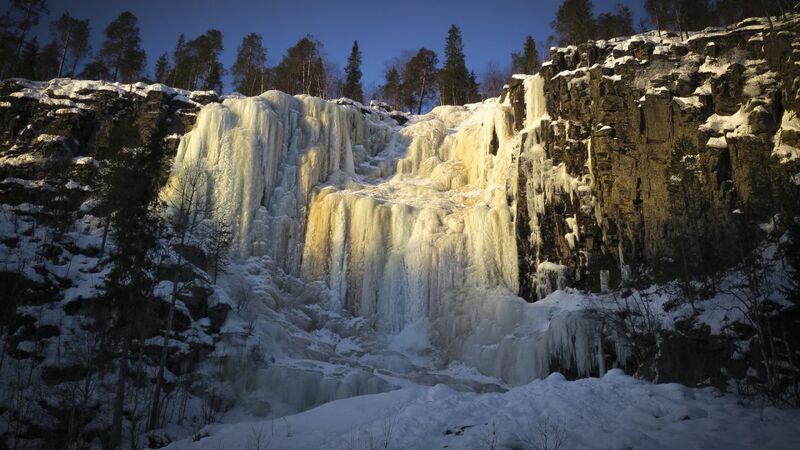 While it might sound nonsensical at first, the frozen waterfall in Korouoma Canyon in Posio is a great way to put your muscles and skills to the test. Every year, the small streams that combine to make waterfall freeze over to form a wall of icicles dozens of meters high. The only way to the top is with ice picks and a climbing rope. After the climb, take turns melting in the sauna and relaxing in the beds of snow by the lake. The mighty Tornio River is Europe’s last free-flowing major river. It freezes meters-deep every year in the heart of winter. From February to April, you can hear the echoes of snowmobiles and ice drills as fishermen pit their time and patience against the slow-moving whitefish and pike under the ice. Nestled in the border between Finland and Sweden, Pello is the perfect place to suit up and head to the frozen river for the day. 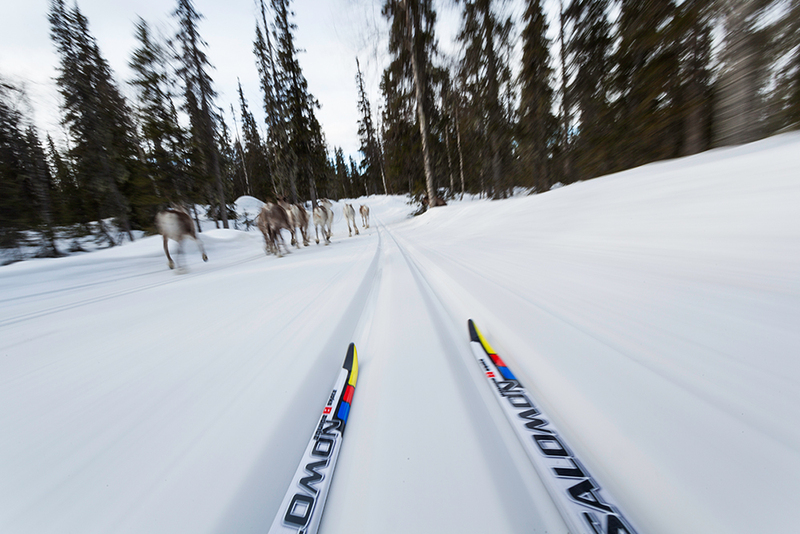 With thousands–yes thousands–of kilometers of cross-country skiing paths, Lapland is truly made for skiing. And if you want to ski the same paths as Olympic gold medalist Eero Mäntyranta, you can’t do better than Pello. The municipality sits on the Arctic Circle and offers lighted and unlit ski trails from December until the snow melts away in May. If you listen closely, you can practically hear the snow-capped trees cheering you on. 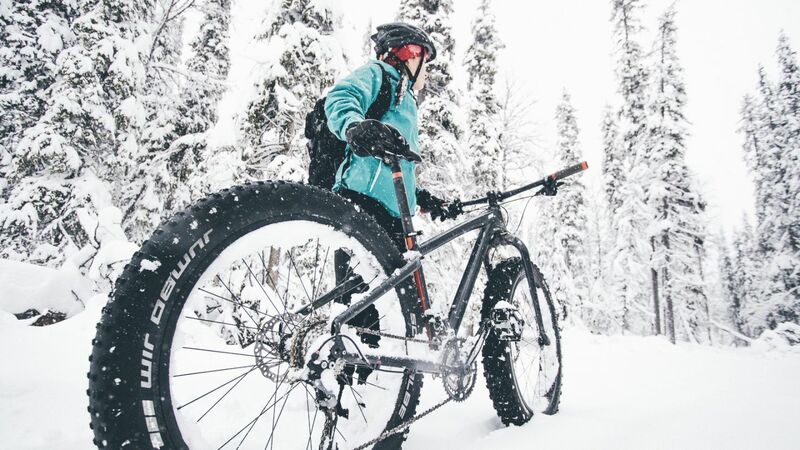 Riding a bike through the snow might seem like a slog, but not when you’re atop a fatbike. The fat tires give you a smooth and pleasant ride, even on soft snowy trails. 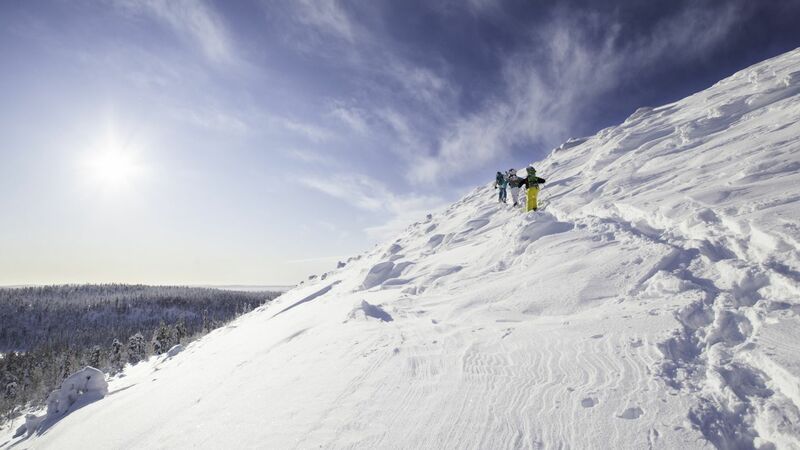 Finland’s largest ski resort Ylläs has a winter biking network that covers more than 100 kilometers, criss-crossing Yllästunturi hill and its seven sisters. You can even explore the 3rd largest national park in Finland, Pallas-Yllästunturi, by fatbike! 5000 years ago, Finns became the first people in history to think that putting knives on their feet was a good way of getting around. And they were right! 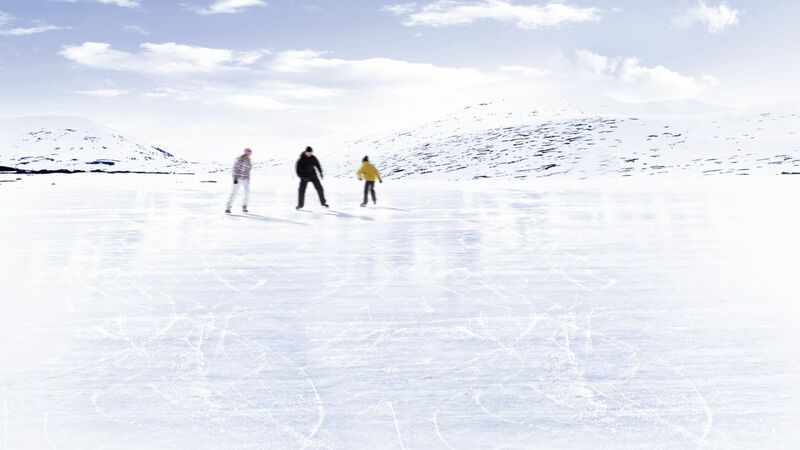 You can join the tradition by ice skating almost everywhere in Lapland. Most schools keep a public rink on a frozen pond, lake or a stretch of river. Feel free to sing your favorite Disney song as you slice across the ice on Lake Kilpisjärvi. Farther south, Rovaniemi, hometown of Santa Claus, has two outdoor skating rinks downtown, meaning you don’t have to venture far from your hotel. Or you can take a spin around the ice at Snowman World at Santa Claus Village. Don’t forget to tell the big guy all about it; he loves ice skating too! 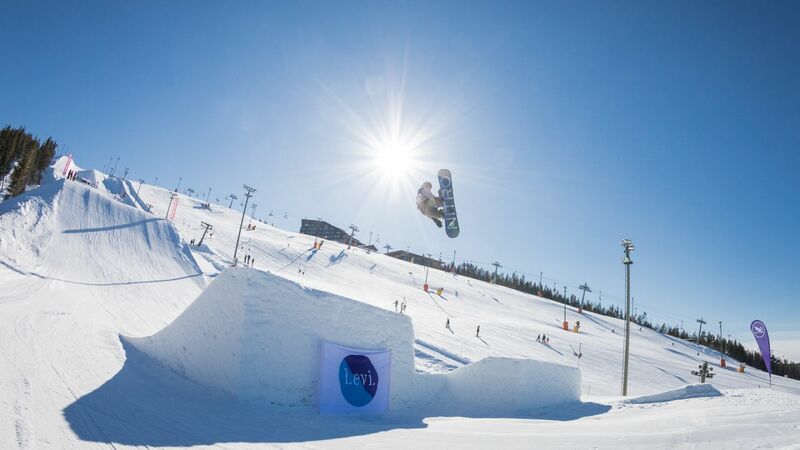 Whether it’s your first time on a snowboard, or you’re a skilled pro, Finland’s most popular ski resort Levi has the slopes for you. With 28 ski lifts, 43 pistes, half-pipes and full-pipes, you can practice the basic techniques for not falling down, or show off your best fakie ollies. As the winter season winds down, and snowline creeps north, Levi hosts the Camp 531 party weekend. The days are packed with practices and competitions for snowboarding, downhill skiing, skate skiing—even skateboarding. As the day slumps, the dance floor jumps, with DJs and live music. Every year brings something new, something special, and definitely unforgettable. Lake Inari is the largest lake in Lapland (more than 10002 km), and in spring, its smooth frozen surface is perfect for travel by snowmobile. 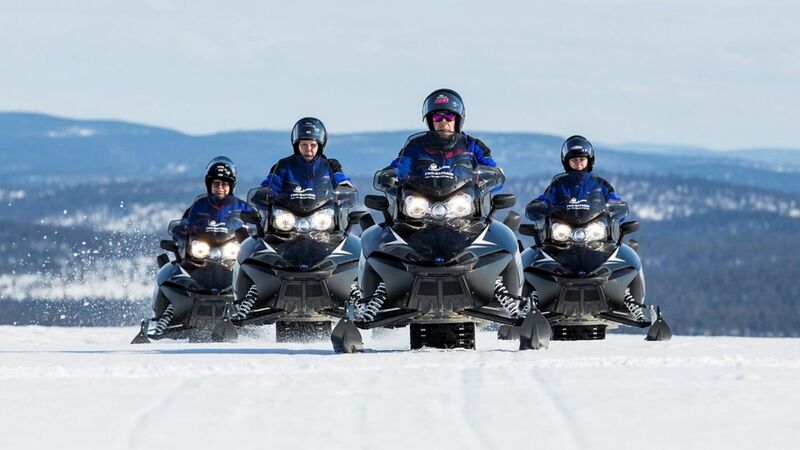 In fact, so many locals and visitors ride snowmobiles that Lake Inari might be better called the Arctic Highway. 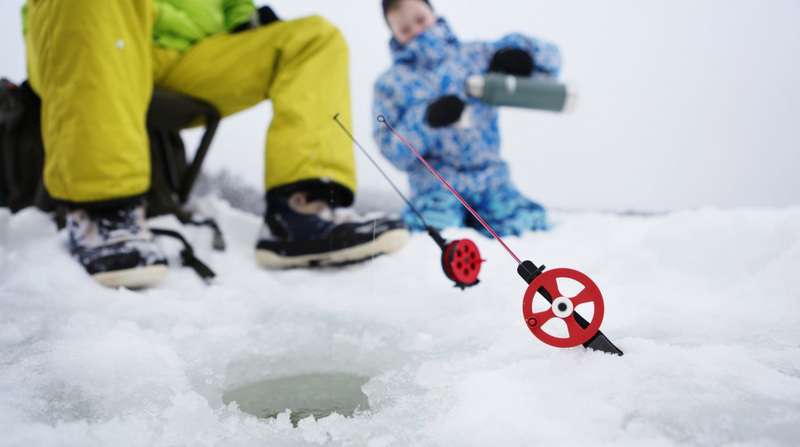 Take a 2-hour tour to the fells, or ride out to a remote location of the lake for some early-morning ice fishing. Wherever you’re going, the snowmobile can probably get you there.